December 22, 2017: David Letterman's New Netflix Series: What We Know (So Far): Jed Rosenzweig spills everything he could find on the unusually-secretive Netflix series for 2018. Some episodes have already been taped. Many have tried and failed to get tickets, so there is interest. Furthermore, no doubt in part because of how far in advance episodes have been taped, everyone in the audience is required to sign a non-disclosure agreement. December 22, 2017: I had lost track of Aaron Barnhart, and have learned he has a blog, History Is Power. Once the TV writer for The Kansas City Star, Aaron followed Dave throughout his late night career. Aaron's latest blog entry is The Video Companion to Letterman: Last Giant of Late Night. In addition to his blog about Dave's ups and downs in his career, Aaron introduces everyone to the YouTube channel my good friend, Don Giller, has been working on, which looks back at all of Letterman's 33 years. (thumbnails of videos) I don't know how many videos he has in his collection at this point, but he's constantly adding, and is now at 13,000,000+ views! The video Aaron links to in his blog is a collection of opening montages from Late Night with David Letterman. Be sure to have a look! December 14, 2017: My friend Paul Leslie just sent word on three new interviews: Jeff Altman, Dub Cornett and Victoria Lily Shaffer and Elizabeth Cook. All of Paul Leslie's interviews are linked in the left-side navigation bar. Victoria Shaffer was interviewed in relation to her role as co-producer of a Facebook series, Extra Innings with Bill Murray & Brian Doyle-Murray. Brian and Bill travel around an interact with Minor League Baseball fans. November 25, 2017: The world's #1 Letterman fan, Don Giller, served as an adviser on clips used for Dave's Mark Twain Prize ceremony. Because of allegations involving Sen. Al Franken just prior to the broadcast, since he was involved with the ceremony, the producers scrambled and removed him from the broadcast, to the degree possible. If you missed the broadcast and would like to see it, visit Don's YouTube site. Be sure to have a look! 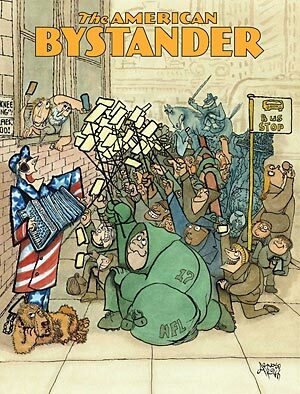 November 25, 2017: A tweet from Letterman writer Steve Young alerted me that the 6th edition of American Bystander is available. Click here to get yours! November 17, 2017: David Letterman's friends and colleagues turn out for his Mark Twain Prize is a story from ontvtoday.com, that focuses on the Mark Twain event from the point of view of Barbara Gaines. November 14, 2017: As I understand it, a gent named Scott Ryan is working on a book, Last Days of Letterman. Here's a relevant tweet, related to his interview with Bill Scheft. Here's a link to scottryanproductions.com, which currently doesn't seem to mention the book project at all. November 10, 2017: Dave's Mark Twain Prize broadcast on PBS is set for November 20, 8:00 to 9:30 P.M. ET. Be a part of it when it comes to your area! November 10, 2017: Here's a web page from Letterman fan Rob Kates that I'd not known of before. It documents about 30 late night shows, over the years: History of Late Night TV. Be sure to have a look! Childhood friends Ralph Masterson (Fred Armisen) and Sam Cooper (Bill Hader) share very special tales of David Letterman's beginnings, in a tribute to the comedian for winning the Mark Twain Prize for American Humor. Watch the event on PBS, Monday, Nov. 20 at 8/7c. November 2, 2017: It's really happening! 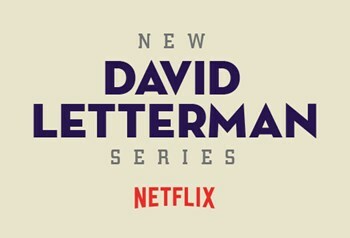 Request tickets for what Netflix is presently billing as "New David Letterman Series" right here. At present, the only taping listed is on November 14 in NYC. You'll have to sign a nondisclosure agreement, and they won't let you take a phone in. It's free. 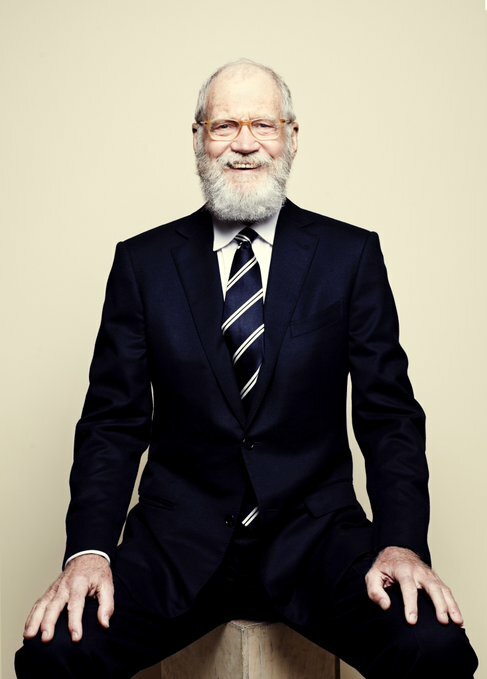 If you submit a request, you'll be asked, "Tell us what makes YOU a David Letterman Fan!" Good luck! October 31, 2017: It seems Dave Grohl Letterman was the guest host of Jimmy Kimmel Live tonight. (Twitter link) (and another) Here's YouTube video, and a story in the Indy Star. October 24, 2017: You're invited to check out my Articles Page for lots of coverage about Dave's Mark Twain Prize, before, during and after! October 23, 2017: With Dave's Mark Twain Prize now on the mantle, an account you should read above all others is by Vanity Fair: Bill Murray Stole the Show as David Letterman Accepted the Mark Twain Prize, by John Clarke. October 22, 2017: It happened as planned! 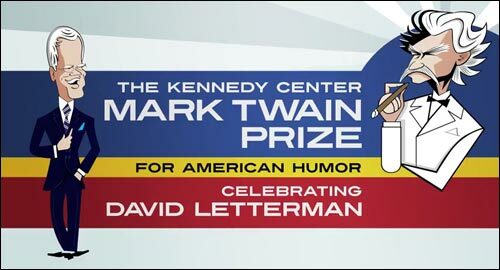 tonight, David Letterman was officially awarded the Mark Twain Prize for American Humor. Here's the word from The New York Times and The Washington Post. Here's the Wikipedia page: Mark Twain Prize for American Humor. My Articles page has several links related to Dave's award. October 17, 2017: Netflix star David Letterman will appear on the Oct. 17 Jimmy Kimmel Live. Here's Jimmy's schedule for his week in Brooklyn. Dave's the only guest listed for Oct. 17, and Howard Stern is booked for Oct. 18. And... here's your YouTube link for his appearance! October 17, 2017: Here's a series of tweets by Jason Zinoman, author of Letterman: The Last Giant of Late Night. Jason was in Kimmel's audience tonight. October 15, 2017: I just learned about Paul Shaffer joining Ron Bennington on his podcast. From April 2017, it runs 51 minutes. As usual, Paul's an outstanding interview. Oh... here's your link! 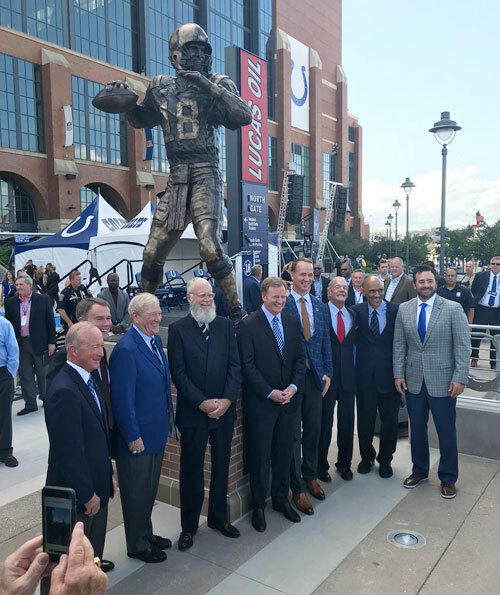 October 7, 2017: This was a complete surprise: David Letterman, a regular on this site, was a speaker at the unveiling of a statue for Peyton Manning today! Here's a YouTube video. September 28, 2017: The New York Daily News had a feature on Midtown lunch spots, with Rupert Jee's Hello Deli getting much of the attention. I've almost always gotten the Inky when I've been there. It's named for my friend, Tony Mendez. August 16, 2017: Dave was on Howard Stern today. Here's a 94-minute audio interview with Howard. I thought both Howard and Dave were great in their roles in this. There are some long-awaited revelations about some of Dave's interviews that became legendary, and candid comments about people who played key roles in Dave's life and career. Don't miss it! August 15, 2017: Letterman biographer Jason Zinoman of The New York Times posted The Misunderstood History of Trump on Letterman today. I think it's very well done. August 15, 2017: Executive Producer Barbara Gaines is the latest addition to The Paul Leslie Interviews, and she gave a great interview. It's audio on YouTube. 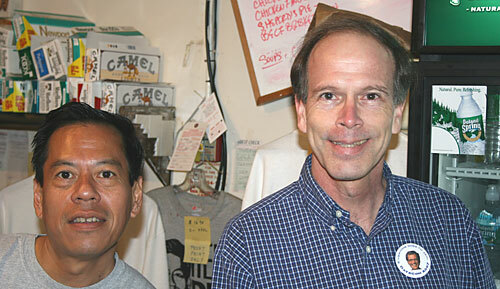 Gaines has the perspective of working with Dave since the beginning of his morning show in 1980. She was upbeat, funny and forthcoming. Paul had a tremendous set of questions for her. I listened to this at 5 A.M., and I couldn't put it down, as they say. You'll find links for all of Paul's interviews in the left-side navigation column. August 8, 2017: Netflix announced today that David Letterman will host a talk show on their site. Six episodes are planned at this time. We'll have to wait until 2018 for its start. Variety has one of the early reports. For more on this exciting development, visit my Articles section, which currently has 60+ links on this news. Entertainment Weekly has an interview with Dave about his reasons for taking on this project. July 25, 2017: As shown in the left-hand navigation column, Paul Leslie has posted an interview with Bill Scheft! It's audio on YouTube, running 54 minutes. Bill and Paul get into a real interesting technical look at what makes good comedy. Also, be sure to listen to the 17 other Letterman-related interviews that Paul has done. July 25, 2017: Dave spent an hour with his old friend on Norm Macdonald Live. It's not live anymore, obviously, but here's your YouTube. July 21, 2017: The Muncie Indiana Star Press has a detailed story on Letterman Memorabilia donated to Ball State by Dave, including part of his LSDL marquee, Emmy® awards, LSDL desk, etc., totaling around 1,000 items. July 10, 2017: David Letterman and Senator Al Franken discuss climate change in Boiling the Frog. July 8, 2017: Randy Cohen, a writer for Dave in the 1980s, interviewed Paul Shaffer for his podcast, Person Place Thing. "Epic and unique experience today. Stephen Colbert and staff were genuinely excited and greeted us with such warmth and welcome. Our touring ensemble joined forces with the new Late Show house band, Stay Human, along with a beautiful harp and string section. Props to the musicians! Some of our former co-workers remained after we signed off 2 years ago and there were reunion hugs and smiles all around. Showtime, the audience received us with a standing O and remained on their feet. Our return to our house of 23 years couldn't have been better or more fun." June 6, 2017: Letterman biographer Jason Zinoman was interviewed on Bullseye with Jesse Thorn. It's an audio interview on YouTube. May 28, 2017: Word from Felicia Collins via my Letterman fan connections is The World's Most Dangerous Band will play on Late Show with Stephen Colbert on June 19! May 17, 2017: As shown in the left-hand navigation column, Paul Leslie has posted an interview with Regis Philbin! It's an audio interview on YouTube, running 29 minutes. 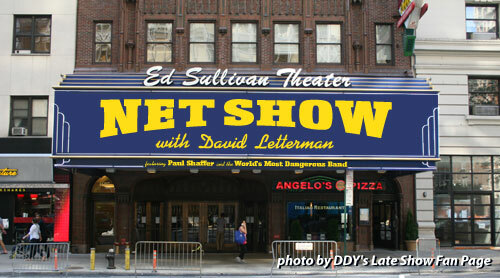 Be sure to listen to the 16 other Letterman-related interviews that Paul has done. May 13, 2017: American Bystander issue #4 is ready. Visit this Kickstarter page to learn more, make a pledge and get your copy! Oh... wait a minute. Be sure to click on the Calvin Coolidge video, 'cause Steve Young did the voice-over! May 1, 2017: Shane Theriot interviewed Will Lee in April for his podcast. It's 01:13 of the great Will. 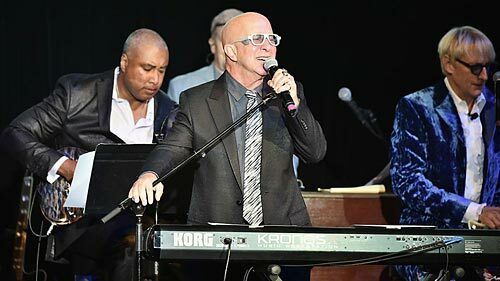 April 26, 2017: Paul Leslie has posted a great 19-minute audio interview with Paul Shaffer. See the links to 16 Letterman-related interviews that Paul Leslie has done... especially with members of Paul Shaffer's band. They're in the left-hand navigation column on this page. April 18, 2017: Turner Classic Movies (TCM) today announced that Emmy® winner and Oscar® nominee Alec Baldwin will host The Essentials, TCM's popular franchise showcasing "must see" classic films. 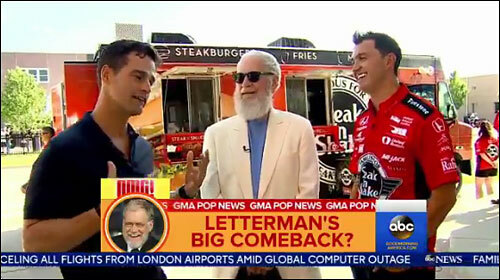 - link) TV's David Letterman will co-host several times. April 12, 2017: Jumblethink, c/o Michael Woodward, has just released a great one-hour interview with Bill Scheft. (web page) (audio download link) We often link to Bill's additions to Bill Scheft: ABlog the Author. I didn't know he was a sports writer in an earlier day. April 12, 2017: I'm very sad to report that David Letterman's mother, Dorothy Mengering, died on 4/11/17, on the eve of Dave's 70th birthday, at the age of 95. Over 33 years of late night TV, Dave told stories involving his very undemonstrative mother many times. He called her on-air 26 times by my count, with the best call possibly being step-by-step instructions on making a fried baloney sandwich (11/06/90). Dorothy was first seen on camera on 2/25/86 for Parents' Night. In 1996, Dorothy's book, Home Cookin' with Dave's Mom, was released, including family history and photos. According to my logs, Dorothy was seen on camera on Dave's shows 82 times. She was sent on remotes to Olympics games, and she interviewed celebrities. In later years, Dorothy would appear in Mother's Day Top Ten Lists, and her birthdays in July were celebrated with a Top Ten consisting of advice from Dorothy. Dave's writers took great joy and amusement in writing insults to Dave for Dorothy to deliver. Dave's dad died young, and Dorothy later married Hans Mengering. To protect her privacy, she was known on the show as "Dave's Mom." Dorothy was as sweet, modest and charming a woman as anyone would ever know, and fans of David Letterman had a special affection for her. For an understanding of Dave's relationship with his mother, have a look at my Video Archives. 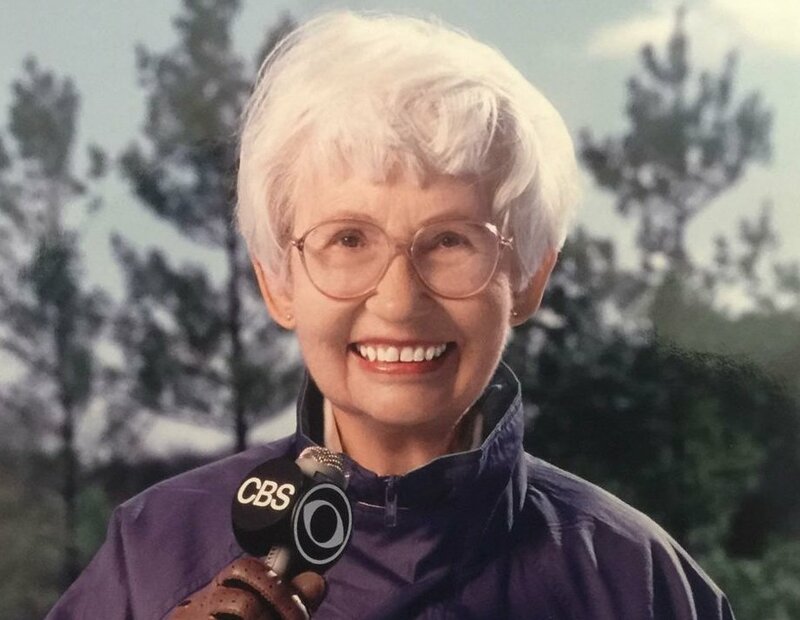 For a look at the many complimentary stories reporting Dorothy's passing, visit my articles page. April 7, 2017: This Instagram post, a photo of Dave with Eddie Vedder at the Rock and Roll Hall of Fame induction, is the first on this account since May 28, 2015. April 6, 2017: The #1 Letterman fan in the world, Don Giller, landed in The New York Times today. Jason Zinoman wrote a wonderful profile on my friend Don, a.k.a. The Donz, who I've known for 20 years. 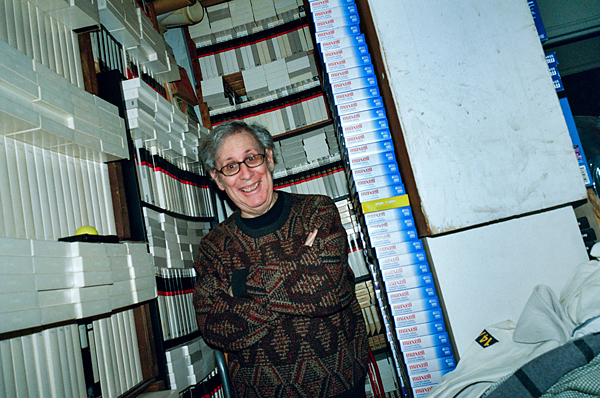 His apartment in upper Manhattan, the Dave Cave, is maxed out with videotapes of almost every Letterman show ever aired. Don's in the process of converting the 6,000+ episodes to DVD. Most impressive is his database, a.k.a. the SSIDB, which contains everything one could possibly ever ask about a Letterman show, going back to 1980. I have had the honor of sitting at his computer to behold the SSIDB, and have toured the Dave Cave. Producers at the Late Show would turn to Don when they had a historical question about a show, someone who appeared on the show or cumulative data. Be sure to have a look at this great story. Oh... I also want to mention that Don served as editor and fact-checker for Jason Zinoman's book, Letterman: The Last Giant of Late Night, being released just before Dave's 70th birthday next week. Here's a YouTube video of Don getting a shout out from Dave in a Top Ten list! March 27, 2017: WTF with Marc Maron interviewed Paul Shaffer today. Here's Episode 979. It runs 01:28:28, and Marc begins Paul at 00:13:53. Paul's interview goes for an hour and 15 minutes. Paul is so engaged and forthcoming. Topics span most of his life. This is fascinating! March 21, 2017: There's a great review of Paul Shaffer & the World's Most Dangerous Band in the March 20 Washington Post! 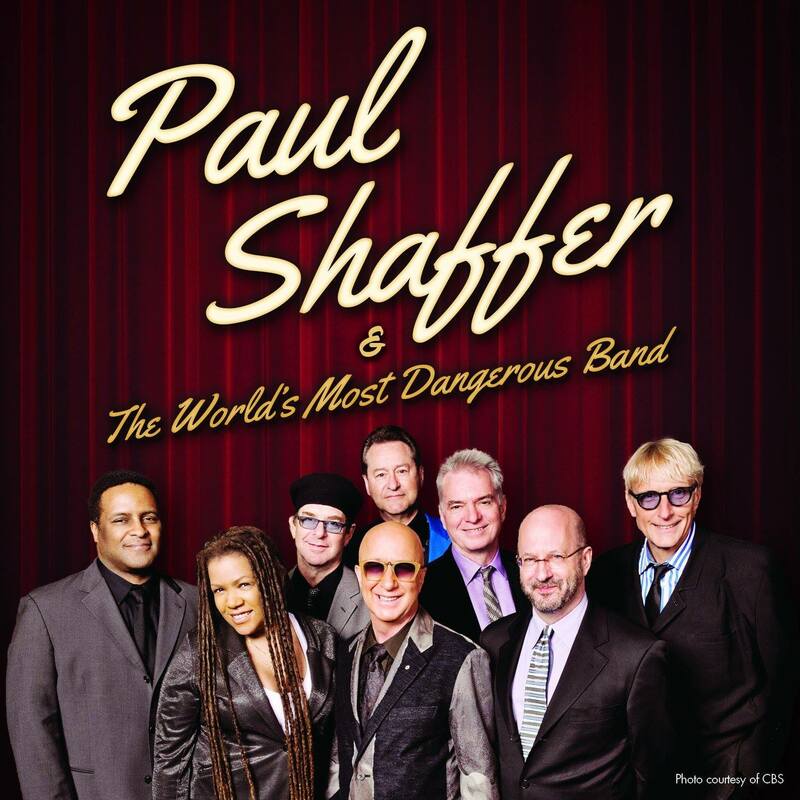 March 19, 2017: Get your copy of Paul Shaffer & the World's Most Dangerous Band on iTunes!! March 18, 2017: Paul Shaffer was a guest on NPR's Wait Wait... Don't Tell Me for 09:30. March 14, 2017: Paul Shaffer Reveals the Origins of Bill Murray's Lounge Singer. See this article from Vulture, with numerous video links. Paul tells how Brian Doyle-Murray and Bill Murray were among the first people Paul met in New York. For Bill's Nick the Lounge Singer on SNL, Bill would come up with the songs he wanted to do, and Paul would put them together. March 14, 2017: THIS IS AMAZING! @funnyordie has released a promo for the World's Most Dangerous Band's new record. (See above.) Paul Shaffer is reunited with legendary record producer Artie Fufkin! Here's the video on @funnordie. Victoria Lily Shaffer plays confused Moby fan Debbie! March 8, 2017: Paul Shaffer on Life After Letterman (and Dave's Mighty Beard) has been released by Vanity Fair. Paul tells how the album came to be, his long-time relationship with Bill Murray and keeping up with Dave. March 8, 2017: The hits just keep coming! It's a new animated music video from Paul Shaffer and Bill Murray, Happy Street. March 5, 2017: Don't miss Paul Shaffer Shakes Off His Post-Letterman Blues, in the March 8, 2017 New York Times. March 5, 2017: PAUL SHAFFER & THE WORLD'S MOST DANGEROUS BAND'S NEW ALBUM! 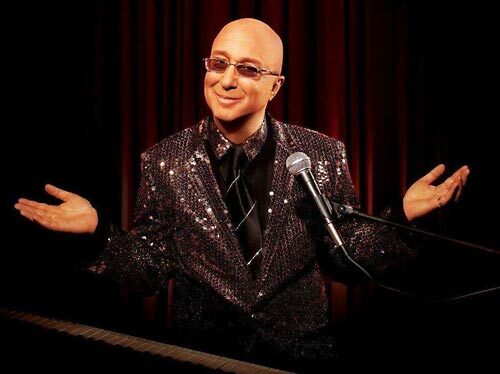 Click here for bandsintown.com's upcoming tour information for Paul Shaffer and the World's Most Dangerous Band. You can see an upcoming list, and sign up for e-mail updates. March 7, 2017: I don't know how vulture.com did it, but they lured David Letterman into an in-depth interview. 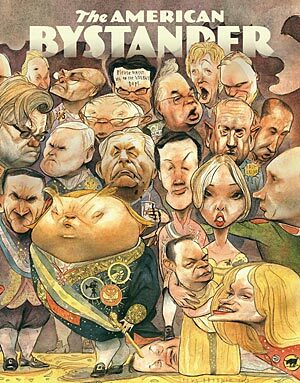 Topics, as you might predict, include Donald Trump, Donald Trump's staff, being blackmailed, Ted Cruz, Paris Hilton, Joaquin Phoenix, Harvey Pekar, not being in touch with Leno, Harry J. Letterman and Worldwide Pants. 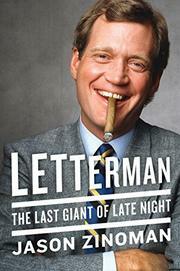 February 1, 2017: Jason Zinoman has his book Letterman, the Last Giant of Late Night being released on April 11, the eve of Dave's 70th birthday. You can order it now from Amazon. (Notice that this isn't one of those kickback links.) Here's a Kirkus Review. January 12, 2017: Longtime Letterman writer Bill Scheft has posted a lovely and detailed recap of the memorial service on January 4 of his wife of 26 years, Adrianne Tolsch. She is widely considered a pioneer in stand-up comedy among females. Jay Johnson and Walter Kim have posted a YouTube video (1 hr. 31 min.) of the service. This was an beautiful, funny, delightful event. Have a look! January 10, 2017: David Letterman's legacy at Ball State isn't over yet. The Ball State Daily reports that discussions are ongoing for Dave to do more on-campus interviews. Dave has donated all of his memorabilia to the university for display. 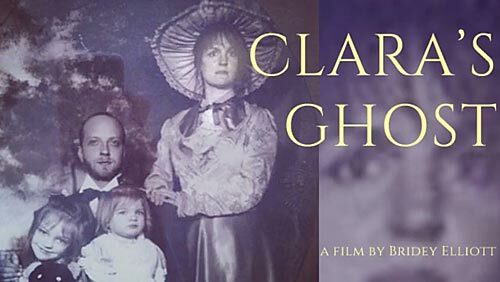 January 10, 2017: Bridey Elliott has a Kickstarter campaign underway in support of Clara's Ghost, a film she has written and is going to direct. She has met her stated goal, but pledges are still being accepted. If this comes together, all of Chris Elliott's family will appear. The Kickstarter link has lots of information on this project. This from late evening on Jan. 9: Bridey was so excited about meeting her goal, she has a celebratory dance on Instagram @bridey_elliott. She's dancing to the greatest song ever, Another Night by Real McCoy. Awesome.